In this day and age, most people don’t even believe that demons exist, but meanwhile the number of demonic encounters appears to be rising. This has created a surging demand for exorcists globally, but there just aren’t that many of them around anymore. In fact, as you will read about below, the Vatican held a week-long conference earlier this year to address this issue. Large numbers of people are being tormented by evil spirits, and they are turning to the Vatican and other large religious institutions for help, and often they are not able to get the help that they need. Dr. Richard Gallagher is a professor of psychiatry at New York Medical College, and when he was originally asked to assist Catholic priests in dealing with these sorts of cases, he was quite skeptical. But his skepticism rapidly vanished when he was confronted by the real thing. “At one point, the voices spoke in foreign languages, including recognizable Latin and Spanish. (Julia herself only spoke English, as she later verified to us.) The voices were noticeably attacking in nature, and often insolent, blasphemous and highly scatological. They cursed and insulted the participants in the crudest way. They were frequently threatening—trying, it appeared, to fight back—’Leave her alone,’ ‘You’ll be sorry,’ and the like. Julia also exhibited enormous strength. Despite the religious sisters and three others holding her down with all their might, they struggled to restrain her. Remarkably, for about 30 minutes, she actually levitated about half a foot in the air,” Gallagher wrote. Of course this sort of thing does not just happen in the United States. A young couple were frightened and moved out of their house after Rosary beads and a crucifix were said to fly around a room. Holy water was reported to heat to boiling point and then, just as quickly, it froze. A prayer card to St Michael the Archangel was said to have burst into flames and the man of the house started vomiting. When stuff starts flying around inside your house with no reasonable explanation, it is quite understandable why people would seek out the services of an exorcist. Major Christian denominations in the U.S., Ireland, and the U.K. have noted a “demonic crisis” in which the need for exorcisms has exceeded the number of available ministers to provide that service. 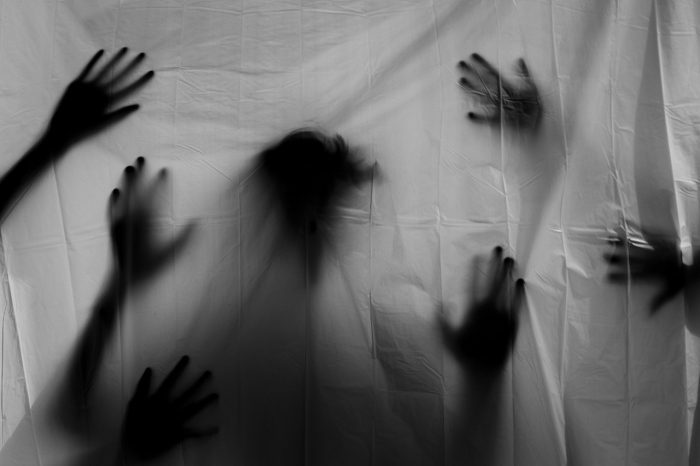 Christian ministers attribute that surge in reported demonic activity to everything from the popularization of the use of witchcraft, to immigration waves from regions rife with animistic practices, to a growing brazenness of demonic forces in the faces of churches’ relative silence on the matter of spiritual warfare in recent decades. But in the end, an “exorcist” is not required to deal with evil spirits. If you have invited Jesus Christ into your life, then you have been given authority over all evil spirits. Just command them to leave in the name of Jesus Christ, and they must go. Yes, there is much more to be learned about spiritual warfare than that, and for those interested in learning more I would recommend learning from Bill Schnoebelen of With One Accord Ministries. Thankfully, if you are truly born again there is no need to fear the powers of darkness. Jesus has already won the victory for us, and at the name of Jesus all demons must flee.